Explore Holocaust history through powerful stories of young people who survived. Coming of Age during the Holocaust, Coming of Age Now is an interactive curriculum based around twelve stories of young people who survived the Holocaust and one woman who grew up in the Mandate of Palestine during the same period. The stories are pitched at middle-school students and their educators, but can also be used by families educating their children at home or by other adults working with young people independently or in groups. Students will reflect on the challenges survivors faced, the responsibilities they assumed, and the lessons they want to impart to the next generation. Each story reflects unique, individual experiences, and as a group, the stories provide a library of resources for learning about the Holocaust through personal narratives. The first chapter describes the survivor’s life before the Holocaust. Chapters two, three, and four cover life during the Holocaust. The fifth chapter focuses on life after the Holocaust. 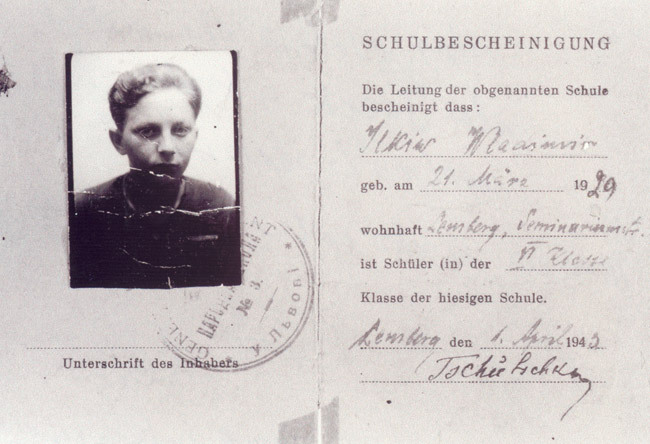 Coming of Age is not a stand-alone curriculum for teaching about the Holocaust. It supplements a Holocaust curriculum by illustrating how real people’s lives were affected by historical events. This site has a historical timeline of the Holocaust, a glossary, and other resources. Coming of Age during the Holocaust, Coming of Age Now is a project of New York’s Museum of Jewish Heritage—A Living Memorial to the Holocaust in collaboration with Yad LaYeled – The Ghetto Fighters’ Holocaust and Jewish Resistance Heritage Museum in Israel. Development of Coming of Age was made possible by a generous grant from the Conference on Jewish Material Claims Against Germany: Rabbi Israel Miller Fund for Shoah Research, Documentation and Education. Additional support provided by The Slomo and Cindy Silvian Foundation, Inc.